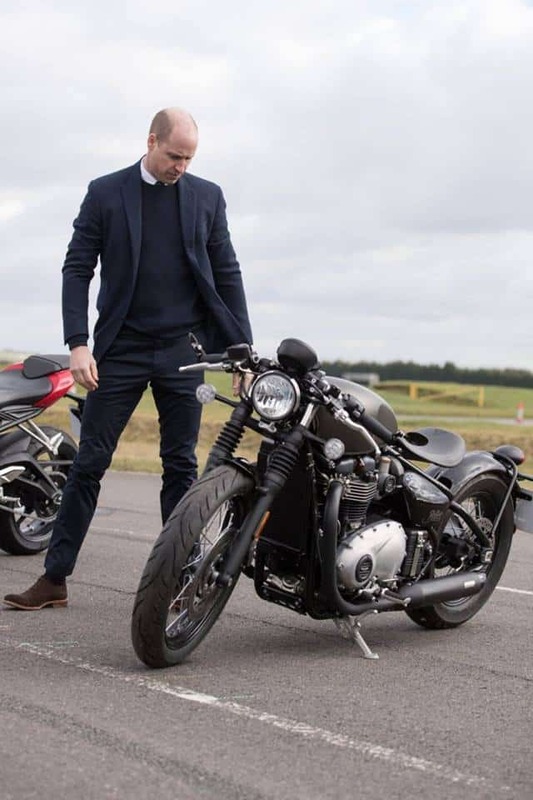 Prince William is a lifelong motorbike fan, but fatherly responsibilities have seen the future king put his beloved hobby on the backburner. 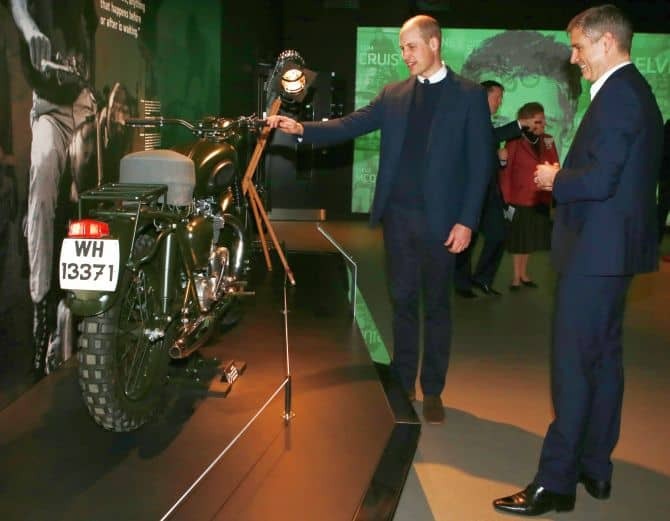 So when the Duke of Cambridge was given the chance to test drive a bike during a visit to Britain’s largest motorcycle manufacturer, he was, understandably, rather excited. 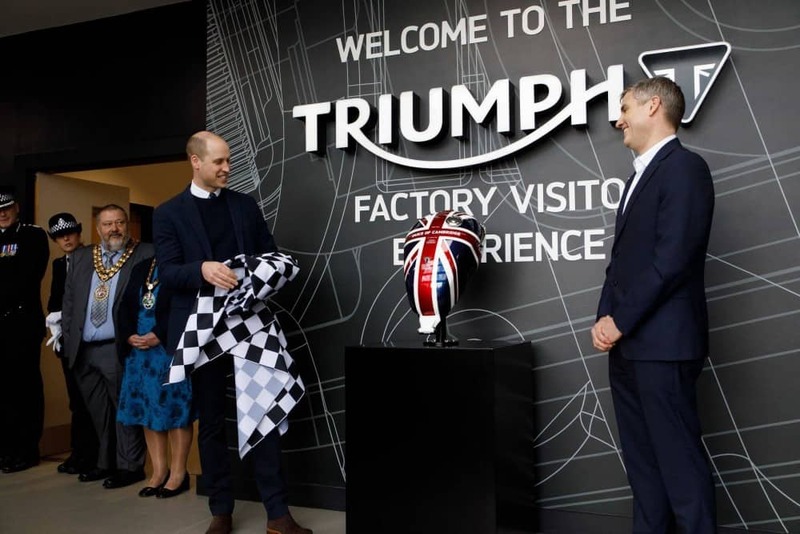 While touring the Triumph Motorcycles headquarters in Leicestershire on Tuesday, William pulled on a helmet and riding jacket to take the latest Triumph Tiger 1200 for a spin. The royal dad, whose third child is due in April, clearly enjoyed the ride, describing it to reporters as “very nice” and “not long enough”. 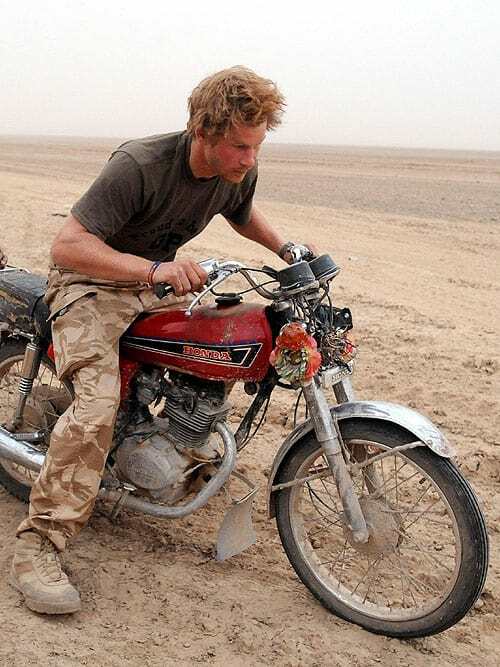 The 35-year-old and his brother Prince Harry have been keen bikers from a young age, and participated in a motorcycle rally across Africa to raise money for charity in 2008. 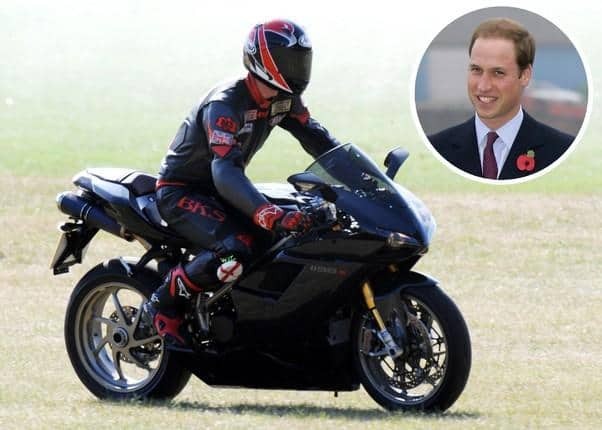 William has owned several bikes over the years, including a 1199cc Ducati he was reportedly last seen riding the night before the Royal Wedding in 2011. 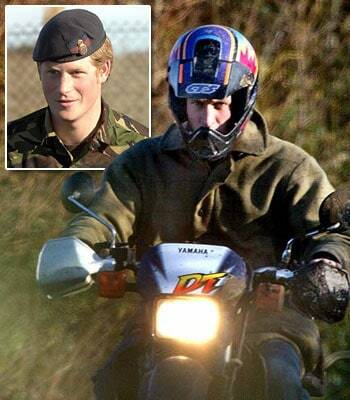 He spoke of his passion for riding in 2003, saying he preferred riding his bike to driving his car – much to the horror of his father, Prince Charles. 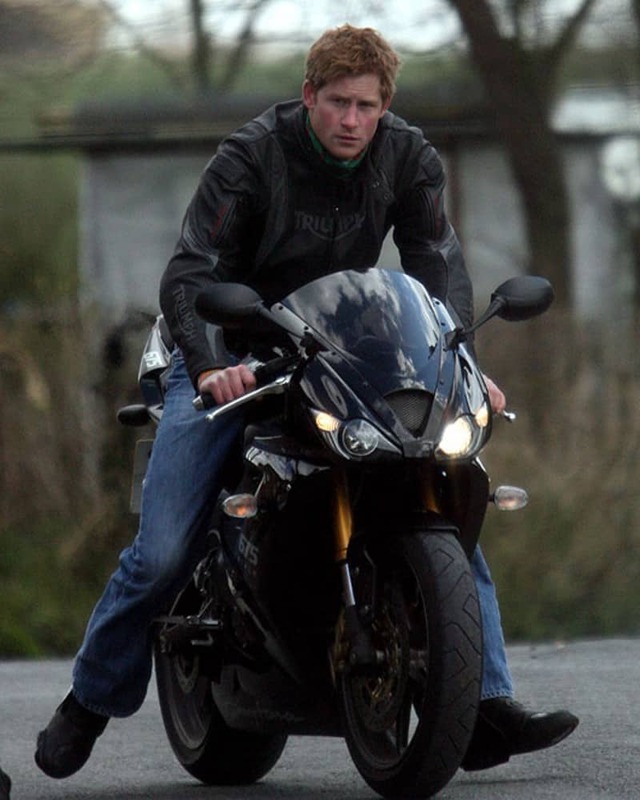 “I don’t know what it is about bikes, but I’ve always had a passion for motorbikes, ever since I was very small,” the then-21-year-old said, according to Wales Online. RELATED: Prince William and Prince George’s sweet father-son bonding ritual. “I used to do a lot of go-karting when I was younger and then, after that, I went on to quadbikes and eventually motorbikes. However, William admitted last year that he’d shelved his riding habits in order to focus on raising Prince George, four, and Princess Charlotte, two. Triple World Superbike champion Jonathan Rea received his MBE from the Duke in November, and said they’d discussed their shared interest in bikes. “We talked about his bikes and the fact that he has put it on the back-burner a little bit because of his children now,” Rea told reporters after the ceremony. 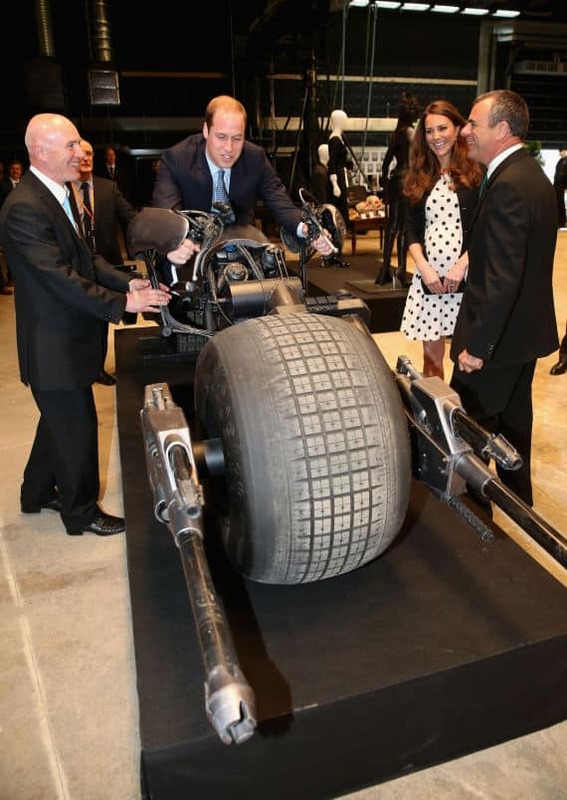 The Duchess of Cambridge watches as Duke of Cambridge sits on the ‘Batpod’ during their visit to Warner Bros studios in Leavesden, Herts where the popular Harry Potter movies were produced. This decision likely came as a relief to the Duchess of Cambridge, who has previously shared some very honest thoughts on her husband’s hobby. 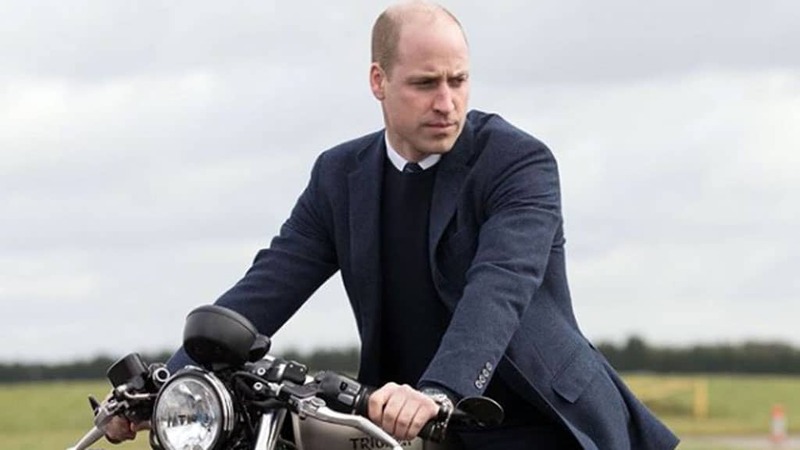 During a royal visit to Scotland in 2015, Catherine told a fan that William was still riding his bike, much to her chagrin. “It always fills me with horror when he goes out on it‎. I’m terrified,” she admitted. 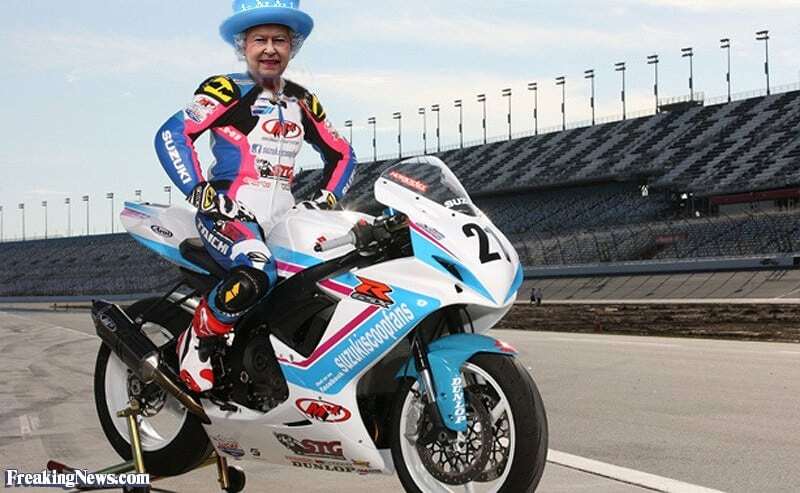 Good luck with that, Catherine- But All the Royals have been on two wheeled machines over the years. 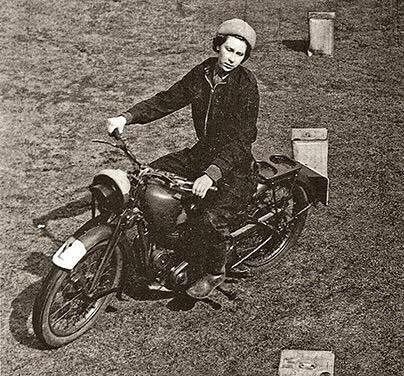 Check Her Royal Highness the Queen back in the day. Both Brothers ride a lot to be honest. I think its cracking to see them out and about and enjoying the same motorcycles as some of us and glad to show these to you today. 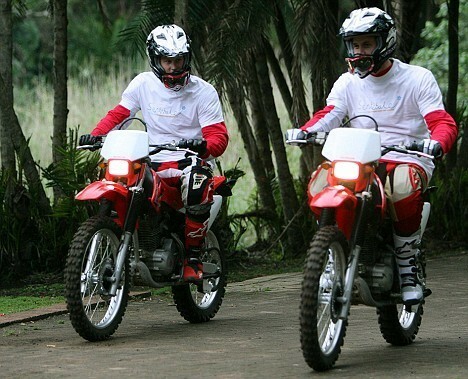 Prince may of wrote and been in purple rain but 2 Princes on motorcycles is rare. What would be the insurance on that? 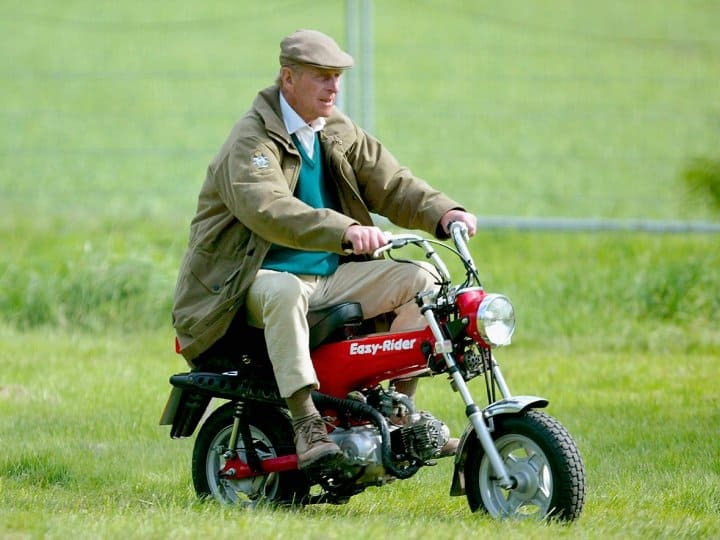 But hey, I know Grandad would support that idea of riding on Motorbikes. So good on you all for doing that and enjoying the same as what we do when it comes to 2 wheeled machines. 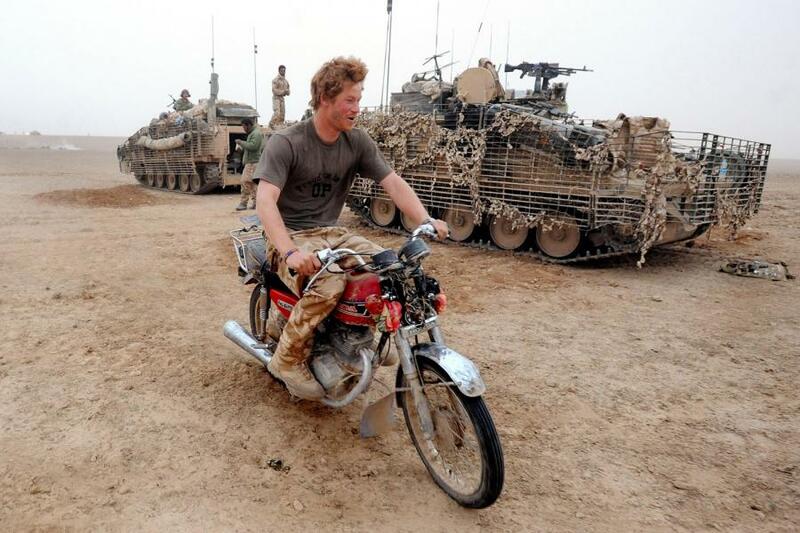 Harry having a go after spending all day locked up in a tank on this little Honda. Always good to see and thanks for reading the Blog, have a great week and Be safe. This entry was posted in Blog, General Info and tagged Duke of edinburgh, Prince Harry, Prince William, Royals, The Queen.